We enjoyed a short but sweet visit to Denmark in 2018. Our goal was to see some Viking historical sites, so we decided to bypass Copenhagen and go directly to the town of Roskilde in our rental car: driving in Denmark is very easy with light traffic and wide, smooth roads. Signage is good and satellite reception for GPS is excellent throughout this flat country. We were lucky enough to find a delightful Air BnB outside Roskilde. Our friendly hosts were a Danish family who were very helpful to us thoughout the stay. Our little apartment in the barn came with food for the first morning, awesome views over the nearby wheat fields, and visits from the friendly resident dog. The neighborhood boasted an abundance of off road bike trails, and farm roads for scenic strolls through the quiet countryside. Our first day exploring we spent at the Sagnlandet Learning Center: https://www.sagnlandet.dk/en/about-us/. 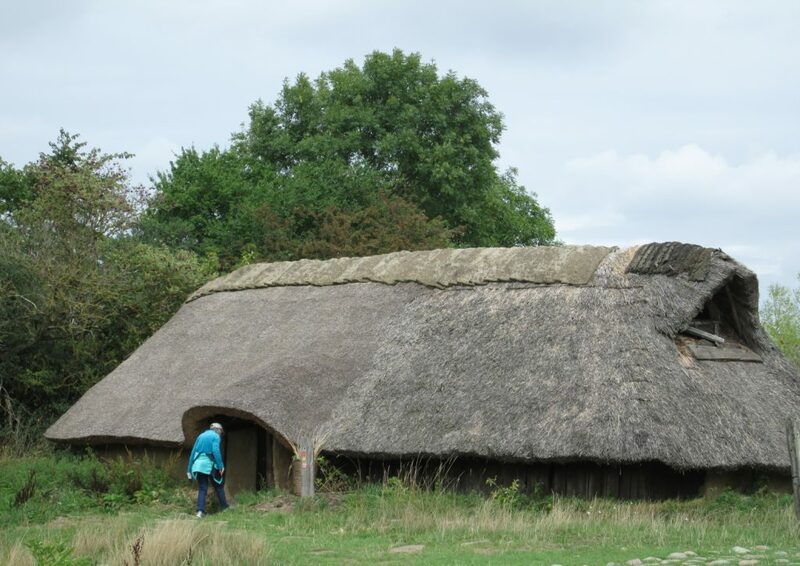 Here you will find reconstructed Stone Age, Iron Age, Viking Age, and 19th century dwellings spread across the 50 acre park, along with exhibits explaining the way of life during those early times in Denmark. Pottery, blacksmithing, weaving, sword fighting and food preparation are all demonstrated by costumed staff and visitors are encouraged to try their hand at these activities. Attempting to row a dugout canoe on a small pond was wet and wild! On our second day we went into Roskilde town center to see the impressive cathedral, and then spent most of the afternoon at the Viking Ship Museum: https://www.vikingeskibsmuseet.dk/en/ . 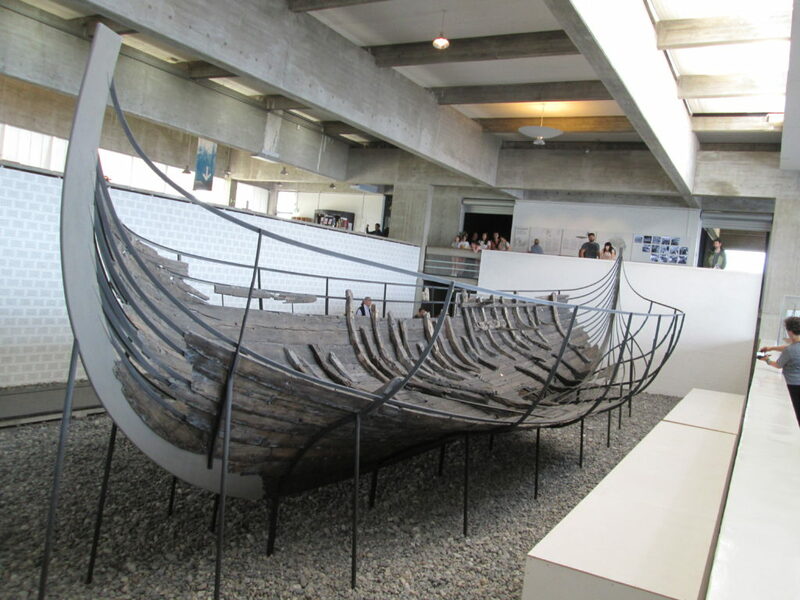 This museum contains the carefully preserved remains of several sunken Viking ships, along with excellent displays about Viking life and history. There is also a children’s area for hands-on learning about Viking crafts and food. Outside in the Boat Yard a dedicated group of experimental archeologists are building Viking ship replicas in as authentic a manner as possible: fascinating to watch the hand cutting and shaping of wood into these beautiful vessels. 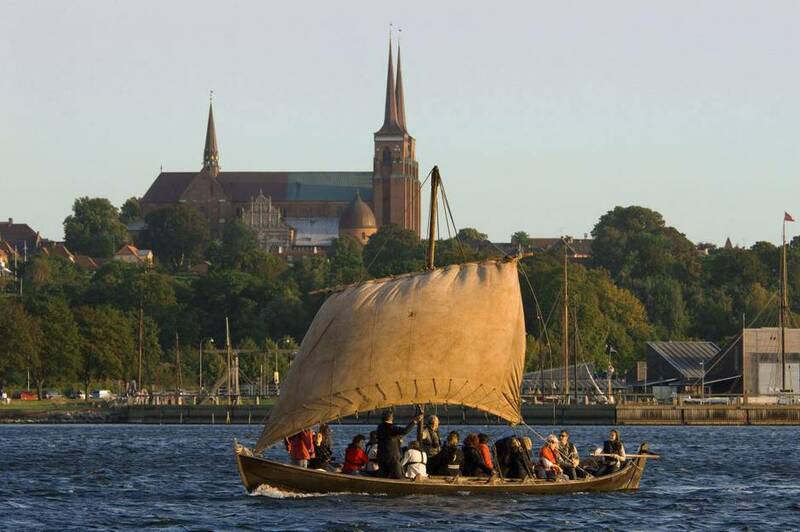 To complete the Viking experience we signed up for the sailing trip on an authentic Viking boat in Roskilde harbor. With a crew of about 20 tourists under the command of our captain, we manned the oars to row out into the fjord, then raised the sail and skimmed across the waves for about 30 minutes as our captain explained the intricacies of sailing the North Sea with only one square sail. A thoroughly enjoyable day!